THE HOTTEST 2012 MIXTAPE !!! NOW FOR SALE !!! 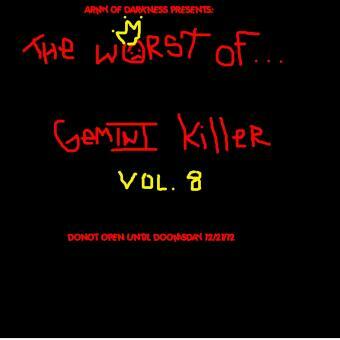 THE WORST OF GEMINI KILLER VOL.8 : DONOT OPEN UNTIL DOOMSDAY !! 19. WHAT IS YOUR DEEPEST FEAR ?? SUPPORT YA LOCAL KILLER !! DOLLARS MAKE SENSE !! !